You can find your recently created/updated projects from this "Open existing projects" tab inside your member’s area dashboard. 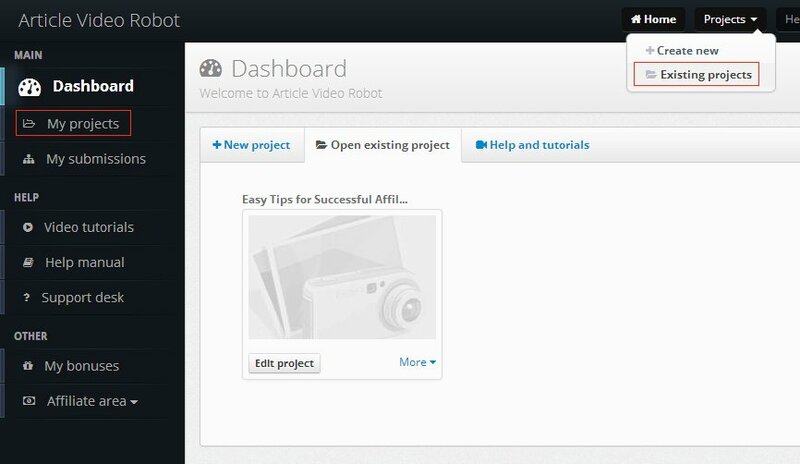 To edit one of these projects you can click the "Edit Project" button underneath it. You can also use the "More" link on the side to access additional options for this project. You can find your existing projects from anywhere inside your members area using this projects menu on the top. 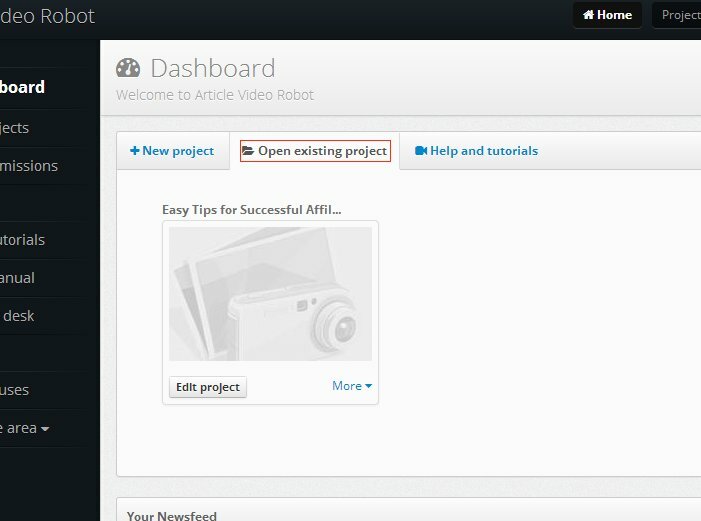 If you wish to view all your projects you can select "My Projects" link from this menu on the left. This will show a list of all your existing projects. You can even use this search box on top to find your projects as well.